TIGI Catwalk Curls Rock Amplifier actually enhances the natural texture of your hair. That’s what makes it one of the best styling products for curly hair. The essential oils in the formula act as environmental and thermal protectants, which means you can feel good about using the amplifier on your locks. When you apply this spray to your hairdo, you help keep the frizz associated with humidity away. Other styling products for curly hair may leave your tresses crunchy and stuck together. This amplifier, however, creates defined curls that are touchable and radiant. You may even notice fewer flyaways because the formula smooths cuticles. How do you use this product? Apply to the ends of dry hair to bring out natural curls and waves. For the best results, you may want to use alongside a curl defining serum. If you’re tired of having lackluster curls, turn to this product from TIGI. It not only amplifies your natural curl, but also tames frizz and protects your hair from potential damages. Ingredients: Water (Aqua, Eau), Polyquaternium-37, Cyclopentasiloxane, VP/DMAPA Acrylates Copolymer, Polyquaternium-11, Propylene Glycol, Dicaprylate/Dicaprate, Fragrance (Parfum), Phenoxyethanol, Cetearyl Alcohol, Polysorbate 60, C12-15 Alkyl Benzoate, Helianthus Annuus (Sunflower) Seed Oil, PPG-1 Trideceth-6, Disodium EDTA, Alcohol Denat., PVP/Dimethylaminoethylmethacrylate Copolymer, Panthenol, Iodopropynyl Butylcarbamate, Simmondsia Chinensis (Jojoba) Seed Oil, Butylene Glycol, Helianthus Annuus (Sunflower) Seed Extract, Chitosan, Bacopa Monniera Extract, Glycerin, Sodium Hydroxide, Hydroxyethylcellulose, Butylphenyl Methylpropional, Amyl Cinnamal, Citronellol, Hexyl Cinnamal, Hydroxycitronellal, Limonene, Linalool. Instructions: Apply to towel dried hair from mid lengths to ends. I have really curley frizzy hair. It did seem to give me defined curl without the frizz, don't wash my hair every day as it tends to get dried out , but I was able to wet my hands in the morning , run them through my hair a few times and looked as if I had just washes it. I like it as it feels as though it a built in conditioner. 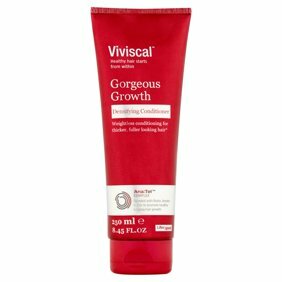 Best product I've found - salon or drugstore - for my naturally curly and often frizzy hair. I live in high humidity and this product keeps my curls together with a nice shine, pleasant smell, and soft to the touch. I just incorporate it throughout my damp hair and let it air dry. Makes getting ready in the morning fast and easy.